~ Ross Wilkins, M.D., M.S. 10 Questions You Really Ought to Ask! "Dr. Buck's advice was instrumental in refining the book." We wish to thank Walter for his advice and keen sense of guidance on the anatomical descriptions and technical, rhetorical passages about joint replacement presented throughout the entire book. His time and erudition in working through the entire manuscript so diligently to make sure we had our facts, procedures and drawings in order and correct is very greatly appreciated. We also want to make a note on the lighter side, that while Dr. Buck was crystal clear that there is (technically) no such thing as an 'upper leg' or 'lower leg', and that these are more properly called the 'thigh' and 'leg' respectively speaking, Dr. Hugate chose to keep the more common lay descriptions to make the handbook more easily understood by our non-technical audience. 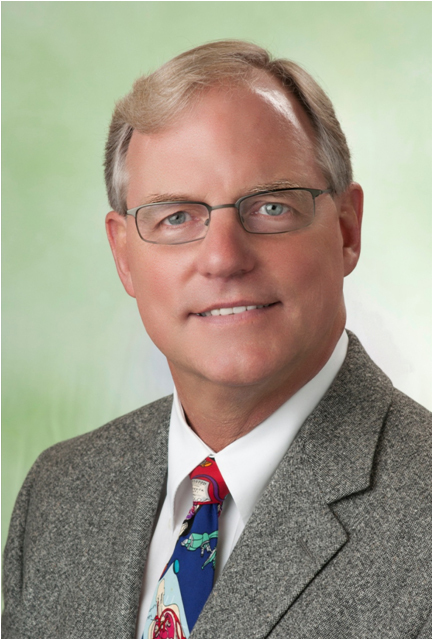 Dr. Buck graduated from the Ohio State University with a Ph.D. in human anatomy in 1985. He is currently Professor and Chair of the Department of Structural Medicine at the Rocky Vista University College of Osteopathic Medicine in Parker, Colorado. As a graduate student, he conducted research on the structure and biomechanics of the anterior cruciate ligament of the knee and his expertise remains in the area of neuromusculoskeletal anatomy. He also has the unique perspective of having received both total knee and hip replacements. Having always been interested in intricate and artful endeavors, he sees the experiences in his life as being very congruent. Teaching anatomy, gymnastics, automotive restoration, and Bonsai reflect these congruencies. After having competed in Division 1 College level gymnastics, he became an assistant coach while attending graduate school. The year he received his Ph.D., Ohio State won their first ever NCAA National Gymnastics Championship. He continues to restore early model Mustangs and has show-quality trees on display at the Denver Botanical Gardens.